Ten years ago, Calamity came. It was a burst in the sky that gave ordinary men and women extraordinary powers. The awed public started calling them Epics. But Epics are no friend of man. With incredible gifts came the desire to rule. And to rule man you must crush his wills. Nobody fights the Epics...nobody but the Reckoners. The impossible has happened. The Lord Ruler is dead. But so too is Kelsier, the man who masterminded the triumph. The awesome task of rebuilding the world has been left to his protege Vin - a onetime street urchin, now the most powerful Mistborn in the land. Worryingly for her, Vin has become the focus of a new religion, a development that leaves her intensely uneasy. Something dark and evil has awakened.... Evie O'Neill has been exiled from her boring old hometown and shipped off to the bustling streets of New York City - and she is pos-i-tute-ly ecstatic. It's 1926, and New York is filled with speakeasies, Ziegfeld girls, and rakish pickpockets. The only catch is that she has to live with her uncle Will and his unhealthy obsession with the occult. 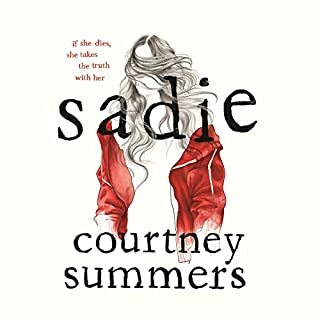 Evie worries her uncle will discover her darkest secret: a supernatural power that has only brought her trouble so far. Stephen Leeds, AKA 'Legion,' is a man whose unique mental condition allows him to generate a multitude of personae: hallucinatory entities with a wide variety of personal characteristics and a vast array of highly specialized skills. As the story begins, Leeds and his 'aspects' are drawn into the search for the missing Balubal Razon, inventor of a camera whose astonishing properties could alter our understanding of human history and change the very structure of society. Around the world, black handprints are appearing on doorways, scorched there by winged strangers who have crept through a slit in the sky. In a dark and dusty shop, a devil's supply of human teeth grown dangerously low. And in the tangled lanes of Prague, a young art student is about to be caught up in a brutal otherwordly war. Meet Karou. She fills her sketchbooks with monsters that may or may not be real; she's prone to disappearing on mysterious "errands"; she speaks many languages - not all of them human; and her bright blue hair actually grows out of her head that color. Spensa's world has been under attack for decades. Now pilots are the heroes of what's left of the human race, and becoming one has always been Spensa's dream. Since she was a little girl, she has imagined soaring skyward and proving her bravery. But her fate is intertwined with her father's - a pilot himself who was killed years ago when he abruptly deserted his team, leaving Spensa's chances of attending flight school at slim to none. 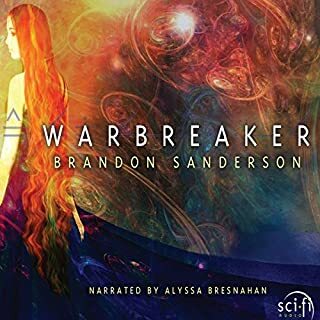 ©2018 Dragonsteel Entertainment, LLC (P)2018 Audible, Inc.
Brandon Sanderson is one of my favorite authors. I can not recall a single book of his that I have not loved. 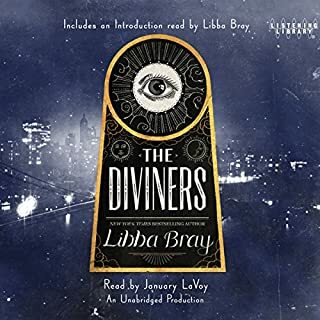 (Note: I have not purchased or read his books for children, such as Alcatraz series) It was not a surprise that I would love this book to the point that I listened to the entire 15 1/2 hours, within a two-day period. 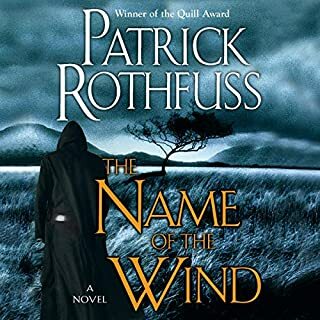 This novel appears to exist outside of the Cosmere Universe; but it is as enthralling as just about any other series he has ever written. 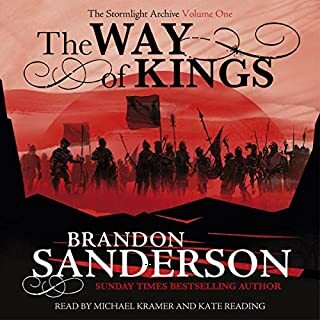 (The Way of Kings has its own place at the extreme apex of Sandersons works.) I will not provide a synopsis of the book, as it would be redundant. You can get that from the Publishers summary and countless other reviews. One noticeable difference between this book and most of Brandons other works, is the level of snarky humor that has been intertwined throughout the book. While his other novels are not void of humor, they do tend to take a more serious tone. With this book, it feels as if Brandon was somewhat inspired by Craig Alansons Expeditionary Forces series, including what I will call [Skippy-lite.] I choose to avoid any spoilers; so fans of the E.F. Series, will need to listen or read Skyward to fully understand. Overall, this is a somewhat lighter, less-complex novel than many of Sandersons other works; but that should not be considered as criticism. It was truly enjoyable to listen to, and I look forward to the next installment. Note: My apologies for somewhat poor punctuation. Writing this review on an iPad, and every time I tried to use quotes or apostrophe punctuation, the previews replaced those with garbled text, such as ‘ and “. I had to remove all contractions and just avoid using problematic punctuation. 160 sur 167 personne(s) ont trouvé cet avis utile. Skyward is a bit of a change for Sanderson. Rather than his typical Fantasy works, this is very much a science fiction. Even his other most ‘sci-fi’ type series, Reckoners, is superheros. This is spaceships, strange planets, artificial intelligence, and aliens. In some ways it reminds me of Ender's Game - teens training to fight in an alien war. Set on an alien planet, with the scattered survivors of a war with aliens, the story follows a young lady from the lowest rungs of society. He father was a military pilot, who died in disgrace and thus she is now living in disgrace. She becomes a cadet pilot, to try follow in her father’s footstep and redeem his name. 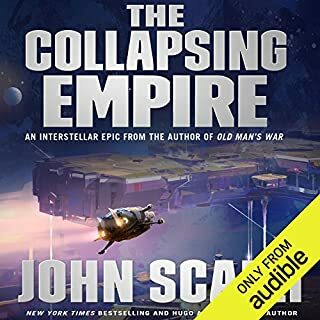 Due to her father’s actions she is living outside the main society, which enables her to stumble upon a broken down spaceship unlike any the human or enemy aliens have. If she can fix it and learn to fly, she might just be able to redeem her family’s name and make a difference in the war. The book is Young Adult, like Reckoners and Rithmatist. 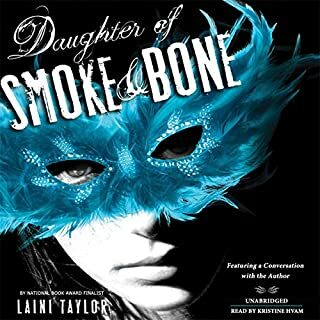 The characters are mostly teens, and there is the typical tropes of the YA genre in here. But it is an exemplar version of YA sci-fi. Like much YA it is told in first person, from the point of view of the young lady. It tells her inner monologue of discovery, self-doubt and (possible) romance. There is the grizzly 'drill sergeant with a heart of gold' type character who trains the cadets. Narration by Suzy Jackson is good. She is clear and well paced, with no issues. She differentiates the characters from one another, and the internal voice of the main character from spoken words or general narration. It makes it all very easy to follow. I found the narration to be enjoyable and well done. No audio or production issues at all either. 88 sur 92 personne(s) ont trouvé cet avis utile. 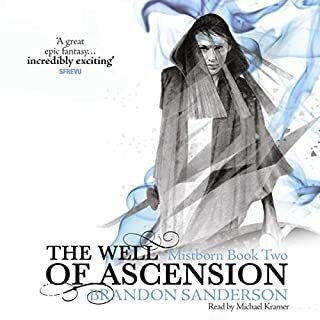 I haven't read a book by Brandon Sanderson that I haven't loved, and this one is no exception. Loved it! 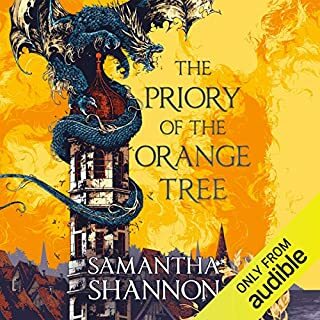 Also I haven't listened to a book narrated by Suzy Jackson before but I really enjoyed her narration. She probably has taken over the top spot over Michael Kramer and Kate Reading. 9 sur 9 personne(s) ont trouvé cet avis utile. First, I saw a comment mentioning the quality of audio but assumed that it must've been the person's headphones. 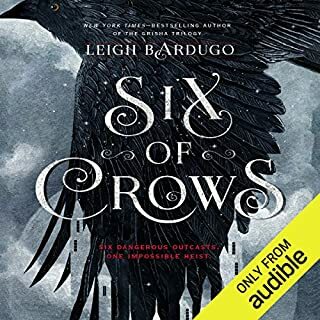 Audible has been doing this a long time and wouldn't put out an inferior sound quality that makes it unbearable to listen to....so don't let that comment turn you off this book! Second, I can't wait to see how this new Sanderson series unfolds! I enjoyed the way the book weaved it's story while still wrapping enough up at the end to stand on it's own.....but am excited and eager for the next release! 40 sur 44 personne(s) ont trouvé cet avis utile. a lot of lovable characters in a Awesome adventure, good, exciting and satisfying till the very end. 14 sur 15 personne(s) ont trouvé cet avis utile. It's not totally surprising that Sanderson would, once again, subvert my expectations and deliver a compelling story. He's done it time and time again. But I'll never tire of the experience. 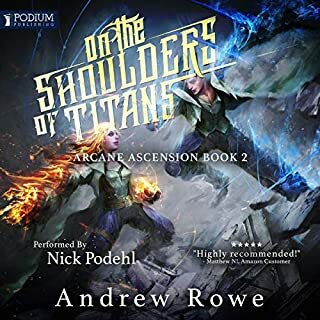 As for as I know, this is the farthest Brandon has taken us into the science fiction genre in his writing and Skyward serves as a caller to let us know it's going to be a comfortable journey. Don't expect everything to adhere to standard tropes, however. Brandon still has a few tricks up his sleeve and by the end you'll be wondering whether or not their wasn't a touch of magic to be found. The book proves to be well paced and emotional. 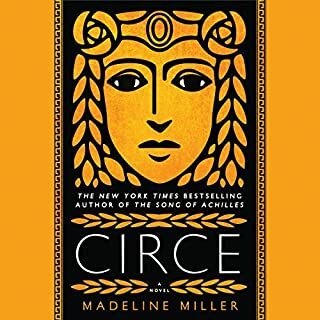 The main characters are interesting, but can be a bit archetypical and there are a few extras whom I feel should have played more of a role in the story. Still, the wait if the decisions these characters play and the party their journey take have some hefty weight to them. Spin, of course, has the most interesting story arch and I'll admit to wondering at times to really questioning where she would end up. It is a given this is part of a larger series and while I hate waiting, I'm excited to see where we will go next. Skyward 11 signing out. Another fantastic story from Sanderson. Brandon Sanderson has once again proven himself as the best fantasy without of our time. Skyward manages to take the tired "Boy and his Dragon" trope and turn it into something fresh and interesting. His talent for natural world building combined with Suzy Jackson's flawless performance create an immersive experience that I did not want to pause for one second. Just like with each of his other series I am left salivating for the next instalment. 25 sur 28 personne(s) ont trouvé cet avis utile. Childish, crazy, and absoulotely... magnificent. 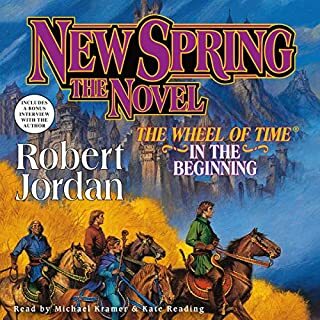 Spin strikes you as an incredibly unrealistic character similar to David from the reckoner series and I was a little disappointed at first however I am glad I kept listening. There where many times where I would realize I was grinning from ear to ear, and the end... I don't want to spoil anything but I might just name all my children Spen. The performance was also fantastic. I am telling all my friends to read or listen to this. I love this book overall! it's a very fun! I love how Brandon Sanderson puts you in a new world! I suggest you get this book, cuz it's so good. 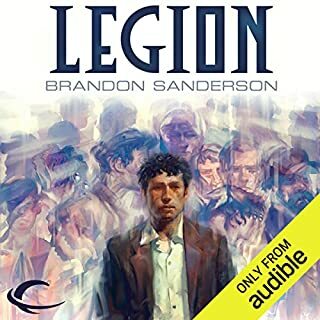 Brandon Sanderson has done it again! That was amazing! The audio performance by Suzy Jackson was also incredible! Definitily one of the best sci fi books I‘ve ever read. One can‘t stop reading – what a refreshing new interesting story. Incredible. Surpassed himself with this one. Just wow. I do not rate books often, but this one is as serious 5/5. 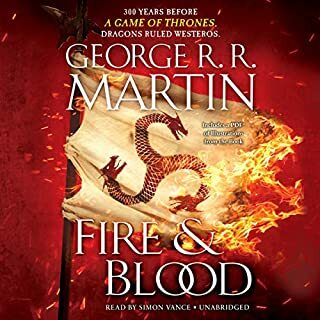 Even though in the beginning this audio book seems a little lengthy, after the first hour the plot quickly becomes more and more exiting. The end is kind of a cliffhanger and let's me wait for the continuation. The authors made a good effort to describe technical things and charakters. I really enjoyed listening. Suzy Jackson is a really good reader and makes the book easy to understand not only for native English speakers. Best storytelling I enjoyed in some time! Awesome characters/story/humor and emotions! I strongly recommed reading this! the story is captivating, yet also funny in the right spots. The reader is great. Recommended! 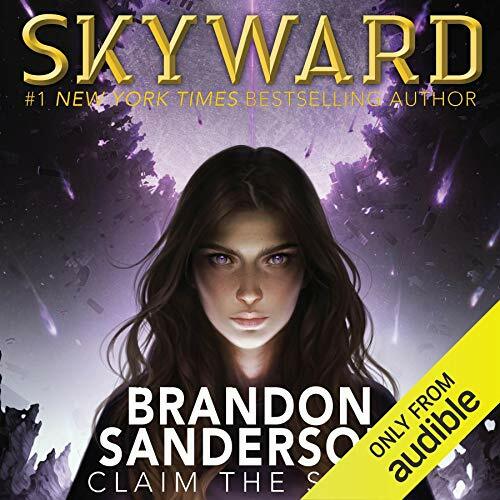 I have listened to almost all of Brandon Sanderson's stories and likes most of them, but Skyward is the one that captivated me most. I think it is because of the pacing in 3/4 of the book. The balance between character development, background info and plot development is masterful. 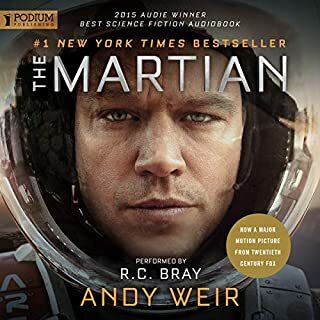 It is a science-fiction story that reveals bits and pieces of the "big questions" that were posed and always reveals a bit more as you go by listening. 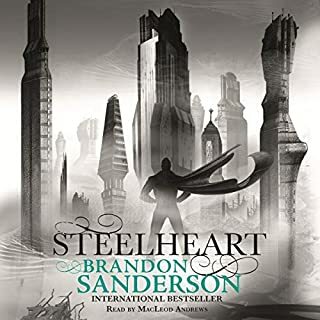 I can totally recommend this book, it is easily among the top 3 novels of Brandon Sanderson. Brandon Sanderson and Suzy Jackson at their best. Suzy Jackson really managed to bring Spin to life as a young woman struggling to find her place on this rugged and brutal planet. 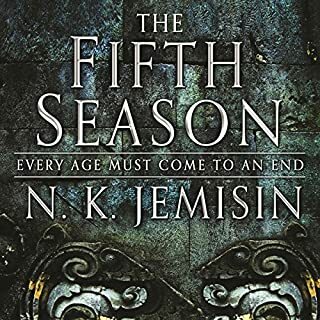 As usual, Sanderson's world-building ans story-telling are just stellar. I am so glad to get three more books in this series. Ich war zunächst ein wenig zögerlich, als ich diesen neuen Titel von Sanderson entdeckt habe. Wie das so oft mit erfolgreichen Autoren und ihren Schöpfungen ist, hatte ich im Hinterkopf, dass meine übertriebenen Erwartungen nicht erfüllt werden könnten. Aber nicht bei Sanderson, zumindest nicht bisher. Auch Skyward, ist wie gewohnt ein Meisterwerk. Eine Welt in die zu fallen ein einziger Genuss ist. Eine Geschichte zum verlieben. Charaktere, die zu Freunden werden. Wenn das so weiter geht, wird Sanderson am Ende noch zu meinem Lieblingsautor. Ein wirklich fesselnder Titel. Spannend und wunderbar beschrieben. Die Sprecherin ist großartig und zieht einen in die aufregende Welt unserer Protagonistin. Ein muss für alle Sci-Fi Fans.10/10.